From safety to performance, the Mercedes-Benz Sprinter Extended Cargo Van features provide everything you need to get the job done in Fairfield. The Extended model is 170 inches long and includes a higher roofline, providing you with more interior space to handle your cargo and gear. Explore the Mercedes-Benz Sprinter Extended cargo van features below and bring one home to Napa today. When you drive the Mercedes-Benz Sprinter Extended Cargo Van, you’ll be amazed at everything you can do. 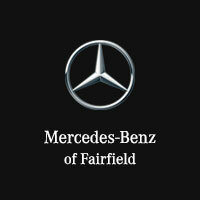 Mercedes-Benz of Fairfield has the Sprinter Extended Cargo Van you need for all your Benicia workday needs. While here, check out the Sprinter Metris Vans or talk with our financial experts about leasing vs. buying your new work van. Kick the experience off today by applying for financing right on our website.